Whether you are a recent graduate or an experienced nurse, we invite you to explore a career within the extraordinary environment of UC Irvine Health. Our exceptional nursing staff strives to provide safe, competent, compassionate care, based on mutual respect and personal integrity. 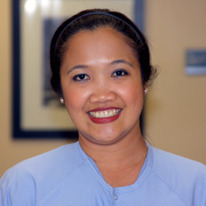 As a nurse with UC Irvine Health, you'll be a valued and respected member of a team of Magnet-recognized professionals. Our nurses practice within a caring, patient-centered environment, using critical thinking and accountability. As members of an academic medical center, our nurses also participate in research and in the support of professional nursing. If you're looking for opportunities and want to work with caring people who have helped to set the highest healthcare standards, consider a career at UC Irvine Health.